A new translation with expanded introductions and annotations. In an age marked by controversy over public support of religious schools, federal encouragement of religious providers of social services, and sexuality education, the whole arena of church-state relations appears in flux. In this volume, seven experts probe the meaning of religion in public life for Christians when the "Protestant establishment" has given way to pervasive religious pluralism and a growing secularism. Working specifically out of Lutheran traditions, the authors probe the deeper legal, moral, and religious questions at issue in the current debate. They not only rethink classical sources about law and gospel and two-kingdoms theory but also resurrect neglected resources for Christian civil resistance. They then look to contemporary developments and show how functional interaction of church and state is compatible with their strong institutional separation. Finally, three chapters probe the most hotly contested First Amendment questions: religious liberty, education, and land use. Presents biblical, theological, and historical issues involved with each service in Occasional Services and expands on proper use of the rubrics. 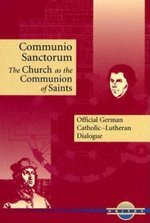 Communio Sanctorum is the most recent product of the Lutheran-Catholic dialogue in Germany and the first major Lutheran-Catholic ecumenical statement since the ground-breaking Joint Declaration on the Doctrine of Justification. it focuses on the ecclesiastical issues that the Joint Declaration identified as the remaining obstacles to Lutheran-Catholic communion. It describes the church as the communion of saints and then uses that description as a framework for addressing some of the most ecumenical issues: sacraments, ministry, the role of the church in salvation, and papacy. While not claiming to have finally settled such difficult issues Communion Sanctorum does represent a new convergence on these questions. Uniquely, he dialogue then uses this understanding of the communion of the saints to address issues related to the communion that transcends death: the nature of eternal life, prayers for the dead, veneration of the saints and Mary. Communio Sanctorum has sparked vigorous debate in Germany and makes a major contribution both to Lutheran-Catholic dialogue and to the wider ecumenical enterprise. 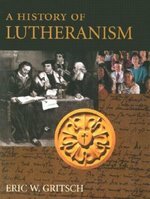 A unique resource: from the Reformation to Pietism This unique collection of excerpts from Lutheran historical and theological documents - many translated here for the first time - presents readers with a full picture of how the Lutheran movement developed in its thought and practice. The volume proceeds chronologically from Luther's lifetime to the beginnings of the Enlightenment. Each chapter begins with a summary essay and proceeds thematically. 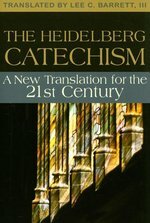 Covering not only theology but also church life, popular piety, and influential historical events, the more than 200 primary documents excerpted here show not only the evolution and development of Lutheran doctrine but also its devotional writings, hymns, liturgical texts, letters and diaries, satire, political documents, woodcuts, and pamphlet literature. Lund's judicious selection, careful translation, and helpful introductions acquaint readers with the turbulence and fervor of this revolutionary Christian movement, its struggles for survival and consolidation, its flowering in the age of orthodoxy and pietism, always with an eye to how it affected and was experienced by ordinary people. 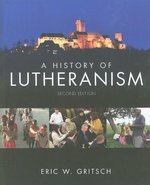 A helpful and accessible guide to Lutheranism's history and central tenets, with numerous photos and illustrations. In just over a century, Pentecostalism has rocketed from its humble beginnings in an interracial congregation on Azusa Street in Los Angeles to a global movement counting more than six hundred million members. Confronted with the bewildering array of Pentecostal, Charismatic, and Neocharismatic beliefs and practices, Lutherans are often at a loss as to how to think about Pentecostals, much less how to engage them in positive ways that build up the whole body of Christ. In this guide, Lutherans will find tools for just such an engagement. Building on a foundation of Pentecostalism's history and varieties, Wilson undertakes an in-depth survey of biblical teaching on baptism, the Holy Spirit, and spiritual gifts. The guide then brings innovative new lenses to bear on the questions at stake: the use of church history in defending denominational borders, right and wrong approaches to prosperity, the power of the Spirit and corruptions of power, and the role of experience in theological discernment. Written in a style accessible to laity and clergy alike, this guide will strengthen Lutherans' appreciation of their own tradition while enabling them to encounter Pentecostals as fellow believers in the salvation given by the triune God. ""Sarah Hinlicky Wilson guides her reader to understand the Pentecostal movement particularly in relation to the Lutheran tradition. This she does with the special care of a trained Lutheran theologian, and with the warm understanding of someone who has learned to appreciate the Pentecostal tradition through various ecumenical encounters and discussions. The result is a guide not only to the two Christian traditions, but a call to a journey for deeper understanding of the other."" --Kaisamari Hintikka, Assistant General Secretary for Ecumenical Relations and Director for the Department for Theology and Public Witness, Lutheran World Federation ""Sarah Hinlicky Wilson has written a very welcome addition to the growing body of ecumenical literature concerning Pentecostals. 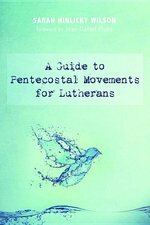 A Guide to Pentecostal Movements for Lutherans is highly readable, sympathetic, and honest. Wilson has engaged in theological dialogue with Classical Pentecostals, done her homework in the relevant Biblical, theological, and historical fields, and delivered an honest and compelling volume that provides answers to serious questions and stereotypes that have often kept Pentecostals and Lutherans from taking one another seriously."" --Cecil M. Robeck, Jr., Professor of Church History and Ecumenics, Director of the David du Plessis Center for Christian Spirituality, Fuller Theological Seminary Sarah Hinlicky Wilson is an ordained Lutheran pastor, an Adjunct Professor of the Institute for Ecumenical Research in Strasbourg, France, and the editor of Lutheran Forum. She is the author of Woman, Women, and the Priesthood in the Trinitarian Theology of Elisabeth Behr-Sigel (2013) and of more than one hundred articles on theology in both popular and scholarly venues. A new translation and critical commentary of a classic reformation text. 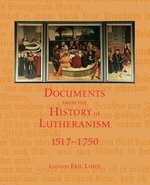 Conveys a clear notion of what's at issue in the controversies that mark Lutheran history. Includes illustrations, map, and chronology. In a clear, nontechnical way, this noted Reformation historian tells the story of how the nascent reforming and confessional movement sparked and led by Martin Luther survived its first battles with religious and political authorities to become institutionalized in its religious practices and teachings. 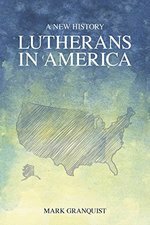 The story of Lutherans in America is one of mutual influence. From the first small groups of Lutherans to arrive in the colonies, to the large immigrations to the rich heartland of a growing nation, Lutherans have influenced, and been influenced by, America. 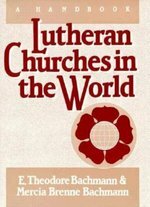 This book brings to light the institutions that Lutherans founded and sustained. The first complete account in English of the American Lutheran controversy of 1849-1867 Tension between a religion's heritage and its social context forms the everpresent question of group identity. In the United States, this question has been posed in a particular way for religious traditions as the tension between "Americanization"-being assimilated into social and cultural structures of the new world-and "confessional identity"-seeking to sustain and understand a religious heritage in light of a new context and its questions. Lutherans in the mid-nineteenth century provide one illustration of this social and theological tension. The first part shows how, in spite of Henry Melchior Muhlenberg's efforts, early Lutheranism adopted congregational polity, democratic structures, voluntary membership, and freer liturgical forms. Then the formation of the General Synod (1820) is traced and its chief spokespersons and their theological and practical innovations highlighted. Gustafson locates the movements toward confessional revival among Lutherans in Germany-many of whom emigrated to the United States in the 1830s-in reaction to unification with the Reformed. The final chapters chart the actual controversy (1849-1867) between the less confessional Lutherans of the General Synod and the recent, more confessional Lutheran immigrants. 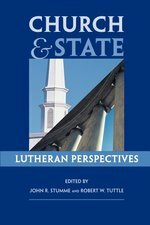 "Gustafson shows that Lutherans today can learn a lesson from the nineteenth-century struggle for Lutheran identity. The confessional Lutheran part issued a 'call to faithfulness' at a time when major voices were inviting Lutherans to join the melting pot of American Protestantism. Lutherans still stand at a crossroads between Protestantism and Catholicism, caught in the struggle over their own identity and mission. Lutherans in Crisis sheds the light of our past on the path of our future. Without this light we would be completely in the dark." -Carl E. Braaten Lutheran School of Theology David A. Gustafson, who received his PhD from the Graduate School of Union Institute, served elca parishes in Wisconsin for most of his career. At the time of his death in 2001, he was teaching Church History at the University of Saint Thomas in Saint Paul, Minnesota. Protestant churches are often rent by disagreement and dissent over the office of bishop, the roles of the ordained, and myriad forms of lay ministry. Timothy Wengert's text overturns many of the 'pious myths' about these matters to probe the core conviction of Martin Luther, Philip Melanchthon, and the early Reform about public ministry. Is there a distinctive Lutheran ethical stance? What does this deep and robust religious tradition have to say to today's dilemmas in personal and social life, business, and public policy? Here, ten Lutheran ethicists explore Lutheran emphases, themes, and approaches to offer their account of Lutheran ethics as a way of life in today's world. Writing in dialogue, they raise foundational concerns of biblical and theological sources and norms, of Christian freedom and responsibility, of call and social witness, of justice and formation in prayer. Then in a lively "Table Talk" the participants discuss and debate the tradition's insights and oversights and show how it might illumine today's burning ethical issues, especially homosexuality. This excellent resource for classrooms, group discussion, and individual study also includes a comprehensive bibliography. The ELCA Division for Congregational Ministries and Augsburg Fortress Publishers are proud to continue their work on Renewing Worship, the multi-year program to develop basic Lutheran worship materials for the new century. Since 1978, the Lutheran Book of Worship has been the primary English language worship resource for many Lutherans throughout the world. In a process that includes numerous expert consultations, congregational feedback, and input from all branches of the church, Renewing Worship will provide the means to develop worship materials that reflect the diversity, vitality, and growth of the Lutheran Church today. Each year several volumes of provisional Renewing Worship material will appear, presenting to the church at large worship ideas for use and evaluation. A feedback form will be included in every volume, so input can be easily provided. Additionally, the program's website (www.renewingworship.org) will continue to provide background, overview, evaluation forms, and sample content for all available material, throughout the process. 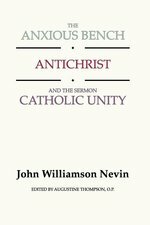 Centering on baptism, this volume will also include affirmation of baptism and orders for confession and forgiveness.